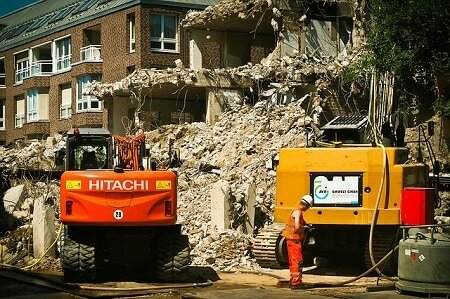 ​Partial demolition is just as it sounds. Sometimes only part of a structure needs to be taken down to make room for a rebuild or addition to the existing structure. This type of work can be a little more tedious requiring more precision and patience. Once again with our experience, we ensure that the work is done to exacting specs and that the part of the structure that was meant to be maintained, is standing and waiting for the next steps. Partial demolition often happens where buildings are surrounded by other buildings, or maybe even attached. We know the importance of exacting work in order to maintain integrity of the surrounding structures and to implement dust control measures.